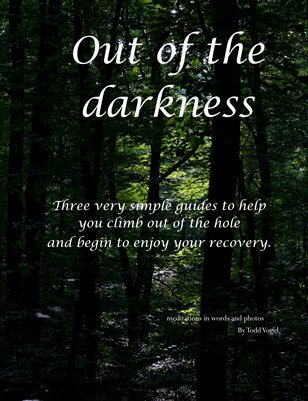 This selection of three Very Simple Guides gives the reader a start on the path to light. the first chapter, Fear goes to the core of dysfunction, The Rut shows where the ladder is, and FROG tries to get a hand on faith, a slippery topic. Using the author's nature photographs, and sparse, pithy text garnered from his experience strength and hope, this book is illuminating.